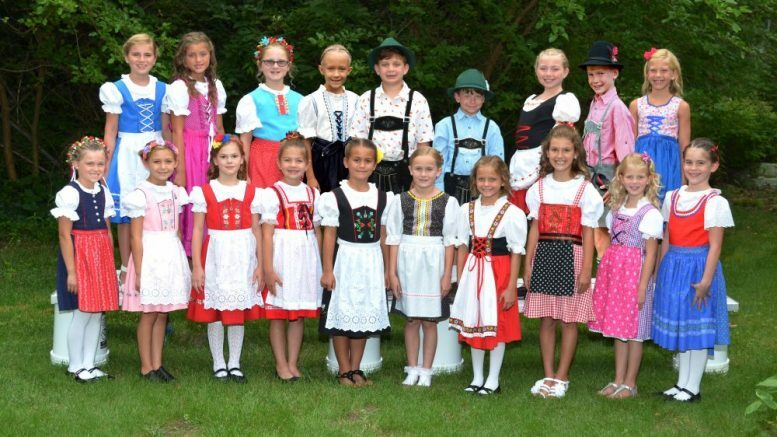 The Jasper Little Miss and Little Mister Strassenfest Contest will be held Saturday, July 29 at 7 pm in conjunction with the Miss and Jr. Miss Strassenfest Pageants at Redemption Christian Church located at 1450 Energy Drive. The venue will hold 1,000 seats for the public to attend. Tickets will be available at the door for $5. Girls and Boys in the Greater Jasper School District must be 7 or 8 on or before August 3, 2017 and no older than 8 by August 6, 2017 to be eligible to participate. There are 19 contestants this year. Olivia Reckelhoff is the daughter of Holly and Scott Reckelhoff. She will be in the 1st grade at Holy Trinity School. Marley Hostetter is the daughter of Angie and Nick Hostetter. She will be in the 2nd grade at 5th Street Elementary. Kensington Quade is the daughter of Ashley and Dr. Robert Quade. She will be in the 1st grade at Holy Trinity School. Ella Leinenbach is the daughter of Christa and Ben Leinenbach. She will be in the 2nd grade at Ireland Elementary. Audrey Hoffman is the daughter of Nicki and Mark Hoffman. She will be in the 2nd grade at Ireland Elementary. Victoria Gunselman is the daughter of Kimbra and Josh Gunselman. She will be in the 3rd grade at Ireland Elementary. Ella Wagner is the daughter of Lynn and Jeremy Wagner. She will be in the 3rd grade at Holy Trinity School. Kenley Lamont is the daughter of Lisa and Bill Lamont. She will be in the 3rd grade at Ireland Elementary. Adalyn Welp is the daughter of Lynn and John Welp. She will be in the 2nd grade at Holy Trinity School. Kate Eckerle is the daughter of Michaela and Brad Eckerle. She will be in the 2nd grade at Holy Trinity. Lila Schmitt is the daughter of Allison and Nathan Schmitt. She will be in the 3rd grade at Holy Trinity. Addison Schnarr is the daughter of Dana and Gregory Schnarr. She will be in the 3rd grade at 10th Street Elementary. Molly Knies is the daughter of Janessa and Jayme Knies. She will be in the 2nd grade at Holy Trinity. Aundrea Christiansen is the daughter of Meredith and Aaron Christiansen. She will be in the 2nd grade at Ireland Elementary. Madyson Hurst is the daughter of Amanda and Alex Hurst. She will be in the 4th grade at 10th Street Elementary. Anna Levin is the daughter of Rachel and Aaron Levin. She will be in the 2nd grade at Holy Trinity School. Henry Hostetter is the son of Angie and Nick Hostetter. He will be in the 3rd grade at 10th Street Elementary. Jack Wood is the son of Stephanie and Jeremy Wood. He will be in the 2nd grade at 5th Street Elementary. Charlie Seifert is the son of Jami and Brian Seifert. He will be in the 3rd grade at Holy Trinity School. 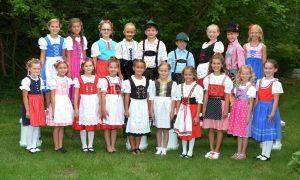 Be the first to comment on "2017 Jasper Little Miss and Little Mister Strassenfest Contest Contestants Announced"